I only recently discovered hummus. Well, in the last few years anyway. I'm not sure why I never tried it before that, but I'm crazy about it now. 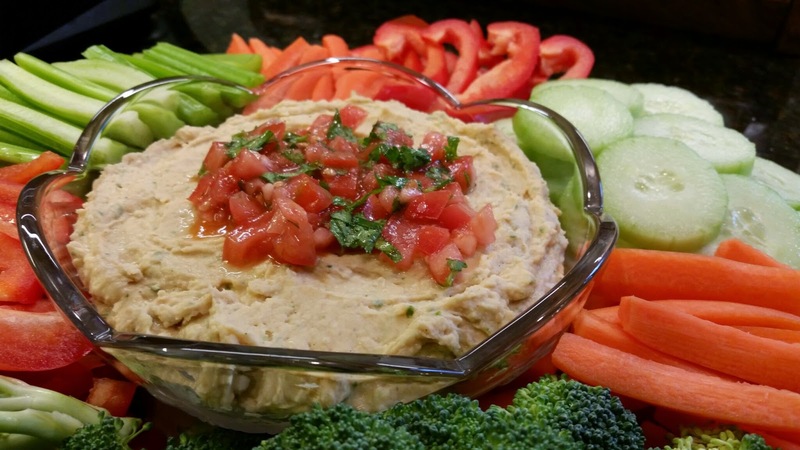 Of course, the best hummus is the kind you make at home, and this recipe for Really Smooth Hummus is my favorite. I love it with with pita chips and celery especially. This was definitely a win! This recipe is one of my new favorites. 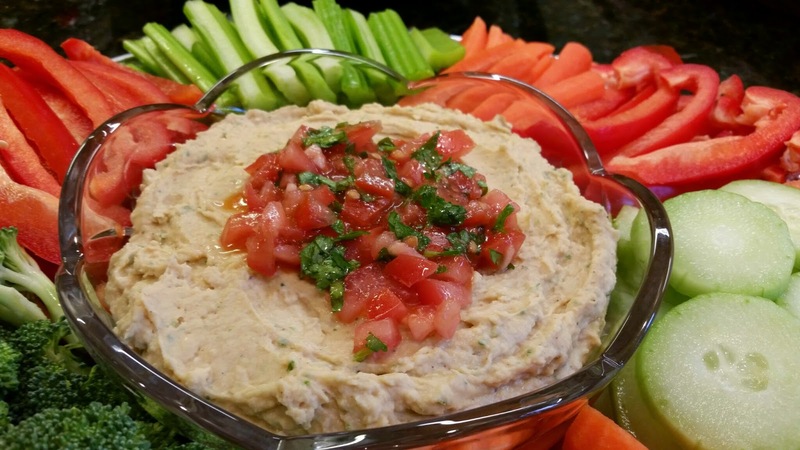 It's a variation on the traditional hummus, made with Great Northern beans and southwestern spices, and it is yummy and so smooth. The Great Northern beans blend up so nicely, and this comes together quickly and easily. In a food processor, combine all ingredients except garnish and process until smooth, 1 to 1-1/2 minutes. Transfer hummus to a serving bowl. 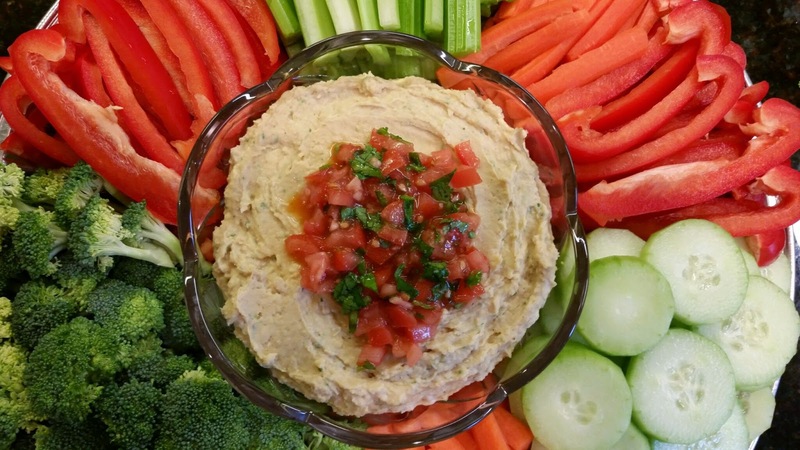 In a small bowl, combine garnish ingredients and place on top of hummus. Serve with vegetables. This would probably also be good with tortilla chips or maybe pita, but the veggies were perfect. I especially loved it with the red pepper, celery, and broccoli. It looked pretty, too! Of course, I won't always put together an entire veggie tray when I make this, but it was a special occasion. The original recipe called for an entire Roma tomato in the garnish, but 1/2 was enough. I guess it depends on the size of your tomato. This hummus would be good on its own, but that garnish adds a touch of freshness and makes it really special. A bit of finely diced jalapeno might be nice, too - if you're feeding people who like a little spice. The consensus is that this recipe is a keeper. I'll definitely be making it again.